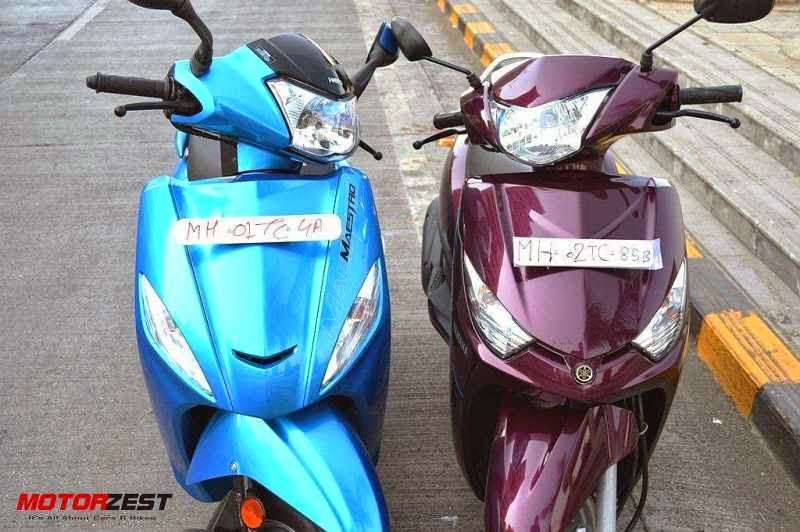 We took out the Hero Maestro and the Yamaha Alpha for a one-on-one comparison in Mumbai and put on roughly 100 kms on each to find which one is better. There is hardly any difference in the price for both these scooters. The Maestro is priced at Rs. 47,950 and the Alpha is priced at Rs. 48,700 both prices ex-showroom Delhi. We ain't keeping the result at the last line of this post and thus after spending 3 days with the two of them, the Hero Maestro wins this battle hands-on. Let’s see how we decided on the winner. Its wasn't very hard to choose the best in terms of style and design, the Maestro definitely looks better, more stylish and modern than the Alpha. Except the front, the Alpha has very dated looks and feels like the design department was keen on cutting costs while designing the Alpha. Should note a point that the Yamaha Ray and Ray-Z are well-designed with modern looks. But certainly with the Alpha, Yamaha have gone with bare minimum looks and the build quality of few components is really very poor. We found the ignition switch to be very cheap and cranky and also the fully analog instrument cluster to be dull and uninspiring. On the other hand, based on the Honda Activa platform, Maestro looks modern and well designed on all fronts. 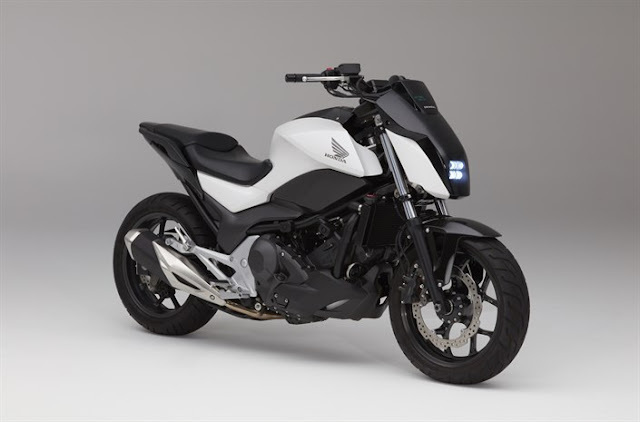 It gets body-coloured mirrors, body-coloured pillion grab handle and analog-digital instrument cluster which looks way better than that of Alpha. Even the seat cover comes with a carbon-fibre design. Hero has not missed a single spot in giving the best and latest design to the Maestro. The build quality of Maestro is better than Alpha and no cost cutting is done here by Hero. Maestro has an edge over Alpha on the engine front. On paper, the Alpha comes with 113cc engine which produces 7.1 PS of max power and the Meastro borrows Activa’s 109cc engine which produces 8.2 PS of max power. A sheer difference of 1.1 PS of power between the two. But in normal riding conditions things like these make little difference and performance on road is what matters rather than on paper. Maestro’s engine beats Alpha’s in terms of refinement, smoothness and noise. Although the Alpha’s engine has much better and flatter torque and gives adequate punch at low, mid and high speeds. The Maestro is slightly sluggish at low and high speeds and takes its own sweet time to accelerate. At high speeds engine noise and vibrations are very low on the Maestro where as the Alpha’s engine vibrates considerably and is a bit noisy as well. The riding position is much better on the Maestro than the Alpha. On long rides the Maestro is more comfortable thanks to its better suspension and superior ride quality. The Maestro beats the Alpha on several fronts including style, design, build quality, engine refinement, ride quality and comfort. For the price you pay, the Maestro gives you a lot more in everything compared to the Alpha. Thus the Maestro wins this head-to-head battle with ease.